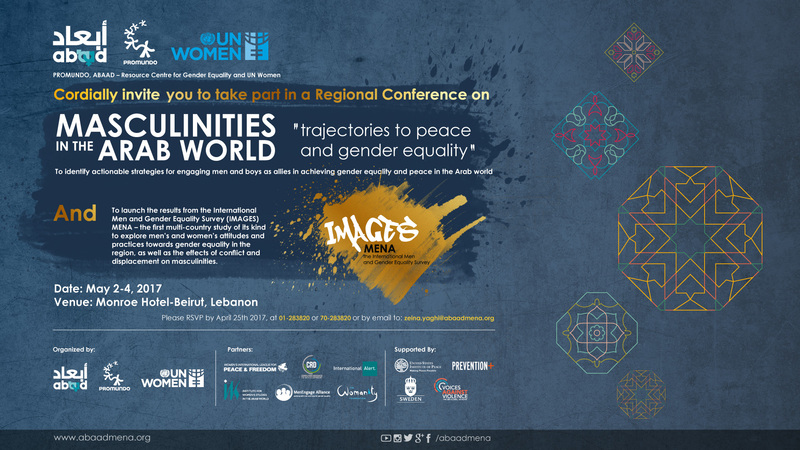 The objective of the conference is to bring together researchers, practitioners and policy-makers, including international bodies, to identify actionable strategies for engaging men and boys as allies in achieving gender equality and peace in the Arab world. The organizers aim to provide an opportunity to present (1) key research on the topic; (2) civil society actions and advocacy to drive gender equality and peace; and (3) potential policy actions to achieve equality and peace. 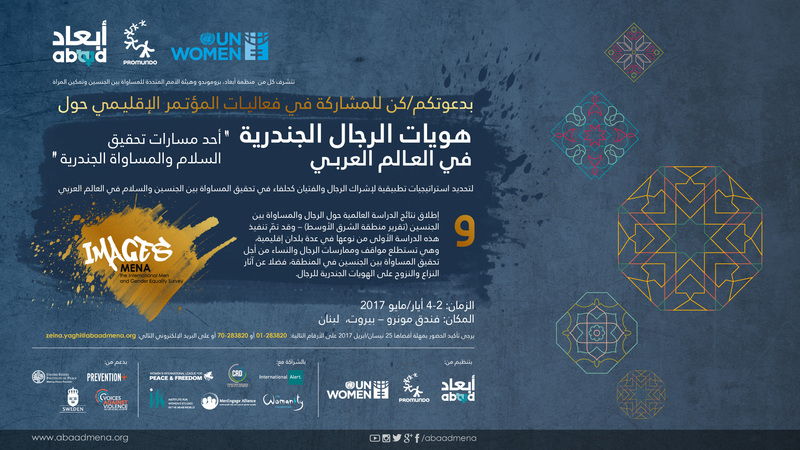 The event will also feature the launch of results from the International Men and Gender Equality Survey (IMAGES) in the Arab world – the first multi-country study of its kind to explore men’s and women’s attitudes and practices towards gender equality in the region, as well as the effects of conflict and displacement on masculinities. Please see the attachments below (in English and Arabic) for details.